Hywel Thomas of Boulston has an account, on his Goodwood Honey website, of how his honey was used to treat a wound on a horse’s fore leg. 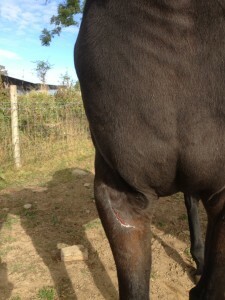 Warning, the pictures show the wound before treatment. Of course local honey is not just about treating wounds, as he says, it tastes good too! Visit our Local Honey page to find where to buy Pembrokeshire honey. Please read to the bottom of this email to find out how you can get MAQS to treat your hive. This email arrived in my inbox this morning from the NBU. “We have received reports from our Appointed Bee Inspectors that many colonies are showing signs of high Varroa infestations and consequently bee deformities. After colonies have been treated, beekeepers should then reduce colony entrances and assess whether feeding needs to be carried out. Lift the roof off of the colony and heft the hive from each side of the brood box. If the colony has sufficient stores, then it should be difficult to lift. Each colony should have between 20-25 kg of stores for the winter. 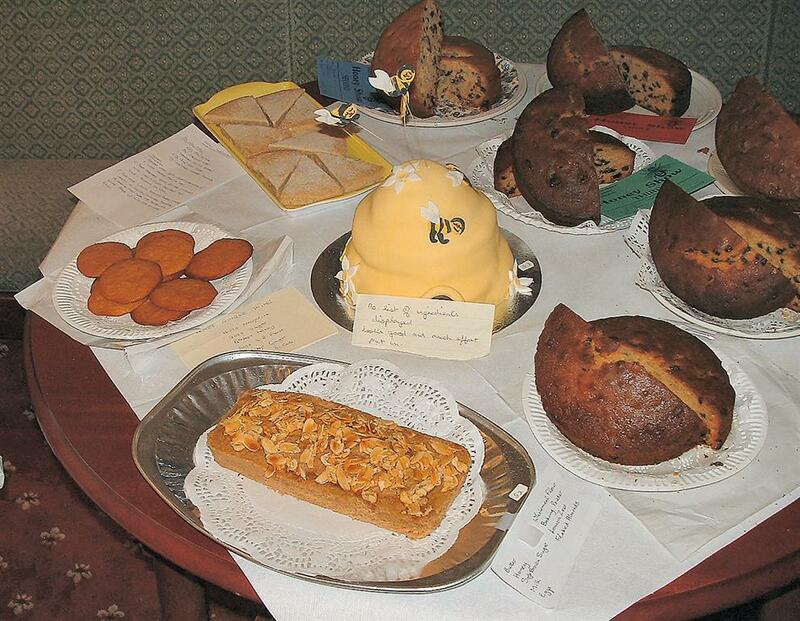 If feeding needs to be carried out use either inverted sugar syrup or a 2:1 solution, i.e. 1 kg of granulated white sugar: 650 ml water, or 2 lb of sugar to 1 pint of water. Pembrokeshire BKA members wishing to take prat in a group purchase of MAQS should follow this link. Password required, if you have forgotton the password you can find it on your 2014 printed programme, if you cannot find that then follow this link. 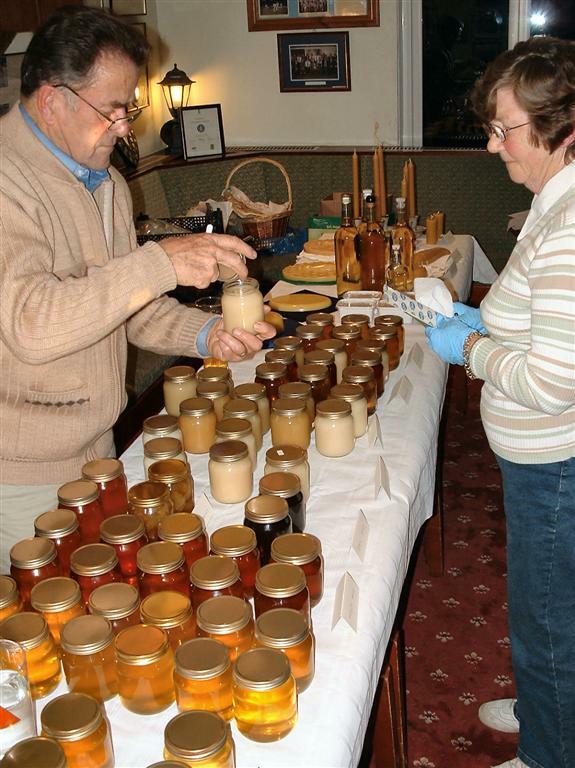 On Saturday September 20th at Picton Community Centre Haverfordwest Pembrokeshire Beekeepers’ Association are holding their annual honey show followed by a public Bee Exhibition. 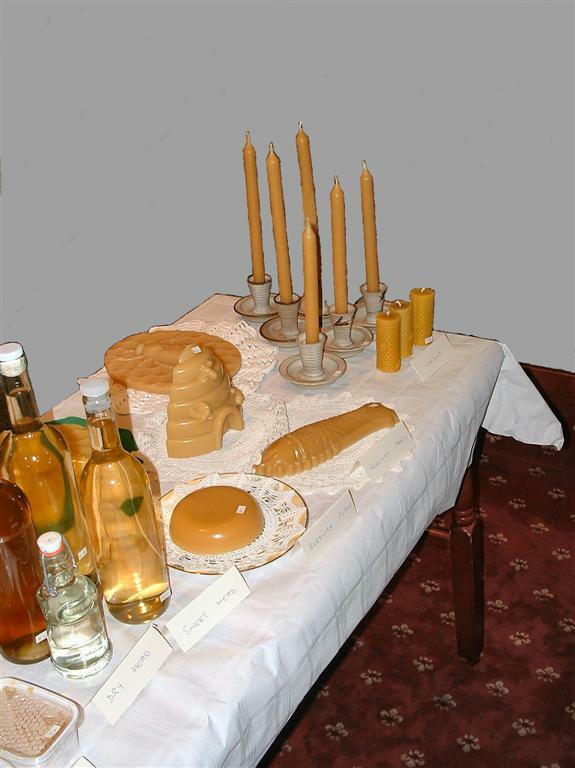 From 1.00 pm until 4.00 pm the display will be open for the public to sample and buy honey, view the range of exhibits, try their hand at making rolled candles and see live honeybees from behind the safety of a sheet of glass. 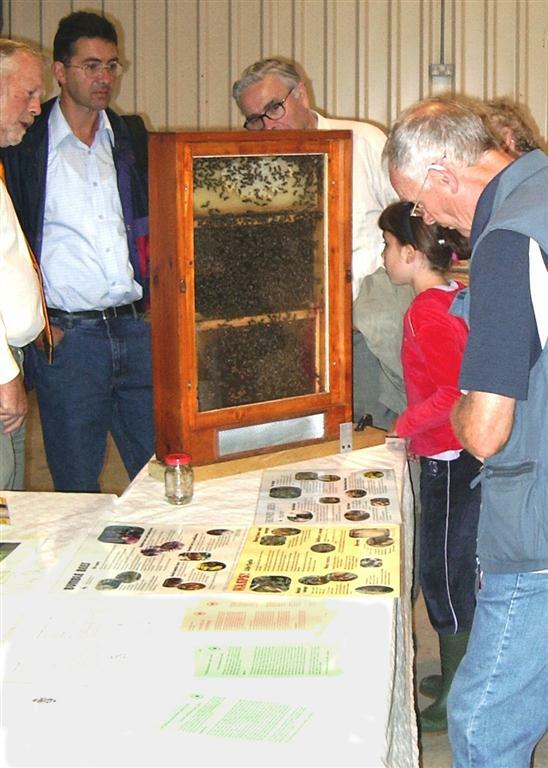 Beekeepers will be on hand to talk to and to answer questions about our craft. Entrance is free and light refreshments will be available throughout the afternoon. Come and join us! Association Members have been sent a schedule and it can also be viewed and downloaded by clicking here. 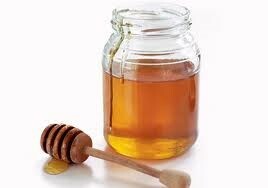 MSN Food has an item about the top ten food frauds – one of them is HONEY (click to see item). “Perhaps surprisingly, there’s a huge international network of honey launderers (sorry!). Honey is one of the most common food frauds of all, and a 2013 study found that there was more honey labelled as the expensive Manuka type in British shops than the total annual production of the variety, much of it cheaper, common-or-garden honey, mislabelled as Manuka. The message is clear – buy local honey from a beekeeper! If you are in Pembrokeshire you can find some here.